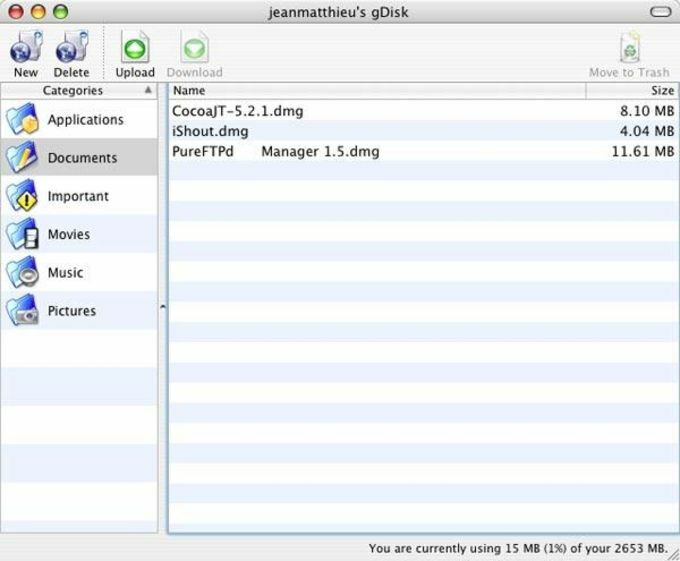 gDisk is a handy, free Mac program, belonging to the category Internet software with subcategory E-mail. Since the program has been added to our selection of software and apps in 2006, it has managed to reach 7,267 downloads, and last week it gained 4 downloads. It's available for users with the operating system Mac OS X and previous versions, and it is available in English. The current version of the software is 0.5 and it has been updated on 8/23/2006. About the download, gDisk is a pretty light software that will not require as much free space than most software in the section Internet software. It's very heavily used in China, Italy, and Egypt. What do you think about gDisk? Do you recommend it? Why?